The Commodore 64 was released by Commodore Business Machines in 1982. Although an 8 bit computer, unlike its main competitor (the Sinclair ZX Spectrum) the Commodore 64 was based on an MOS Technology 6510 chip and came with 64K of memory. The Commodore 64 also featured advanced graphics and sound with 16 colours, with sprites controlled by hardware. During the Commodore 64's lifetime, sales totalled 17 million units, making it the best-selling single personal computer model of all time - although in the UK, the ZX Spectrum gained more early adopters, as it was half the cost of the Commodore machine - as a result less software was produced for the Commodore 64, even though it eventually outsold the ZX Spectrum. Some later versions of the Commodore 64 were released, most notably the Educator 64 (a C64 and monochrome monitor in a PET case) and the SX-64 (a portable version of the Commodore 64 complete with 5 inch CRT monitor and in-built floppy disk drive). 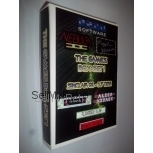 It was also later released as a dedicated C64 Games System, although the Commodore Amiga attained greater popularity with games players. 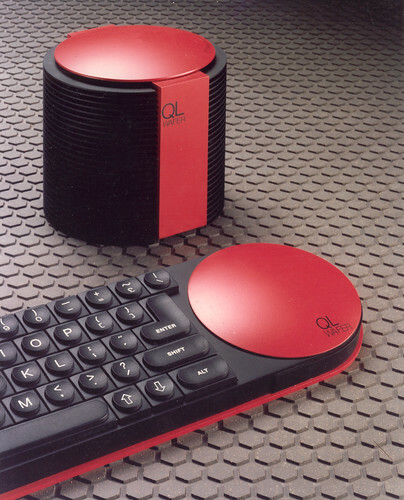 Perhaps the most interesting development was in 2004 when the C64DTV was launched - basically a Commodore 64 built into a joystick, although you could add on disk drives and a keyboard to give it the same capabilities as the original! 20 days, 06h:54m:39s £40.00 Buy now! 7 days, 22h:37m:12s £0.99 Bid Now! 7 days, 22h:27m:06s £0.99 Bid Now! Operation Thunderbolt 4 days, 03h:43m:00s £3.65 Buy now! Predator 4 days, 03h:43m:00s £1.95 Buy now! Play Micro Olympics 4 days, 03h:43m:00s £3.65 Buy now! Munch Man 64 4 days, 03h:43m:00s £5.95 Buy now! Renegade III / 3 4 days, 03h:45m:13s £3.75 Buy now! Rocket Roger 4 days, 03h:45m:13s £7.85 Buy now! Galaxions 4 days, 03h:45m:13s £8.95 Buy now! Red Heat 4 days, 03h:45m:13s £2.55 Buy now! Super Froot 4 days, 03h:45m:13s £2.25 Buy now! Daley Thompson's Olympic Challenge 4 days, 03h:45m:13s £1.85 Buy now! Gyropod 4 days, 03h:45m:13s £4.35 Buy now! Stellar 7 4 days, 03h:45m:13s £3.95 Buy now! Daley Thompson's Olympic Challenge 4 days, 03h:46m:13s £1.85 Buy now! Grid Iron 2 4 days, 03h:46m:13s £2.35 Buy now! Labyrinth 4 days, 03h:46m:13s £2.35 Buy now! Super Champs 4 days, 03h:47m:15s £16.95 Buy now! Top Gun 4 days, 03h:47m:15s £1.85 Buy now! Egbert 4 days, 03h:47m:15s £3.65 Buy now! Daley Thompson's Olympic Challenge 4 days, 03h:47m:15s £1.85 Buy now! Agent X II - The Mad Prof's Back 4 days, 03h:47m:15s £1.50 Buy now! CoolNovelties.co.uk specialise in video cables, parts and accessories for many retro computer systems and games consoles; including: Commodore Amiga, C64, Sinclair Spectrum, Amstrad CPC, Sega, Atari and Nintendo. We stock monitor leads, RGB scart cables, interface cables, replacement drive belts and components for all your favourite retro computers. Keep in touch with us via social media!